CINCINNATI -- For the first time in more than a decade a Cincinnati nonprofit that has been the target of an internal audit and several media investigations into how it spends taxpayer money, may get zero dollars from the city. Mayor John Cranley revealed the changes he wants made to the city’s budget during a press conference Wednesday. He would strip all direct proposed funding for the Center for Closing the Health Gap, or $562,500, and use that money to stop potential cuts to human services agencies and pro-growth groups such as the Greater Cincinnati African American Chamber and REDI Cincinnati. He also wants extra funding to add GPS locators in police cruisers. "They should compete like everybody else for the human services funding, and they're not excluded from doing that. It's just fair to treat organizations the same," Cranley said. Since 2007 the Health Gap – which is led by former mayor Dwight Tillery - has collected nearly $4.3 million in city funding. It routinely gets more money than most other nonprofits in the city. It also historically got its its funding directly from the city, instead of applying through the United Way as most human services and outside groups do. This year the Health Gap, which works to eliminate health and racial disparities, signed a contract for $750,000 in city funding. Acting City Manager Patrick Duhaney recommends cutting it to $562,500 next year. But Cranley's changes may mean the Health Gap gets dramatically less or nothing at all. 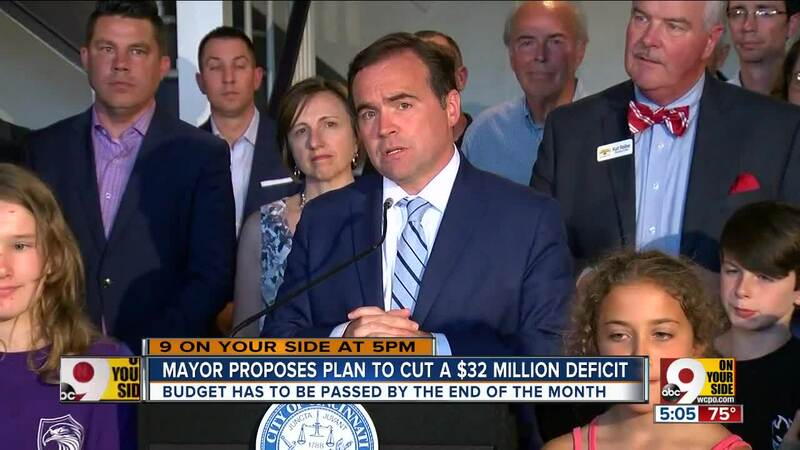 Cranley announced his proposed changes to the city’s budget at a press conference in Pleasant Ridge, as a nod to the new development that will be constructed there. Now that Cranley has weighed in with his suggested changes to the city’s $1.4 billion budget, it will go before Cincinnati City Council for debate before it is approved by June 30. Boosting economic development was a top priority in Cranley’s changes to the budget. 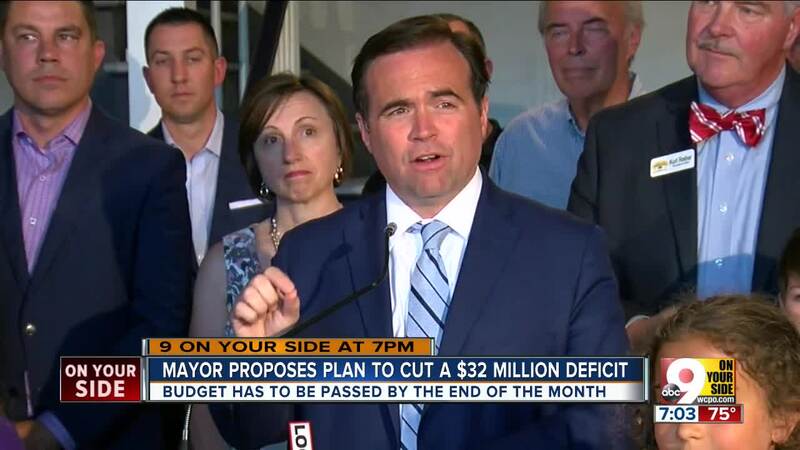 “Our commitment to build strong neighborhoods endures in this budget,” said Cranley, who recommends city capital dollars be spent on two big projects in Pleasant Ridge and East Price Hill. Cranley proposes spending $850,000 in city capital dollars to help develop the corner of Montgomery and Lester roads in Pleasant Ridge as a walkable, mixed-use development. “Pleasant Ridge’s renaissance will be accelerated by this project,” Cranley said. Cranley also proposes spending $2.5 million in capital dollars to restore the historic Masonic Lodge in East Price Hill. Once complete it will house two auditoriums for performances or neighborhood meetings. “Most important, it will support the reinvestment efforts … in a neighborhood that is on the rise after years of neglect,” Cranley said. Other big winners in Cranley’s budget changes are city parks and recreation centers, which would receive an additional $450,000 each for deferred maintenance needs. A recent WCPO investigation revealed a crisis in deferred maintenance at the Cincinnati Recreation Commission. Recreation leaders are struggling with $97 million of repair issues at outdated city pools, recreation centers, basketball and tennis courts across the city. Cranley also recommends $500,000 for Inwood Park and $500,000 for Queen City and Boudinot parks and recreation improvements. Hire 10 new employees at the city's Emergency Communications Center, “to help ensure that the Kyle Plush tragedy is not repeated.” Plush, 16, died April 10 when he became trapped and asphyxiated in the back of his van in the parking lot of Seven Hills School after making two desperate calls for help to 911. Cranley also proposes $455,000 in funding for GPS technology in police cars. Hire 15 new workers to pick up litter and work with Keep Cincinnati Beautiful to clean up the city. Restore $487,328 to the city’s Human Services Fund, which is administered by the United Way, so that $3 million can be distributed to human services agencies. Restore funding cuts Acting City Manager Patrick Duhaney proposed to REDI Cincinnati, the African American Chamber, Greater Cincinnati Redevelopment Authority (Port Authority), MORTAR. Also restore cuts to Cincinnati Works Hand Up Initiative and a few other groups. End city subsidies to developers obtaining permits. But also reduce the building permit fee by 30 percent. Cut $476,500 from Citirama, a partnership between the city and the Home Builders Association of Greater Cincinnati. Cut nearly $1 million from replacements to the city’s fleet of vehicles and several hundred thousand from sidewalk repairs, street improvements and new traffic signals.